Kimo offers an extensive range of thermocouple and RTD temperature probes that come as standard products or can be custom made to suit the measuring requirements. 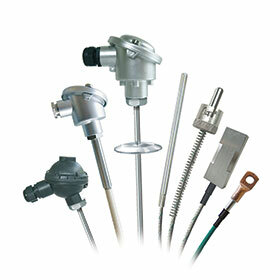 The thermocouple types are fitted with a standard connection head, heat resistant stainless steel sheath, or mineral insulated sheath and operate in a measuring range from -40 to 1100°C. The Pt100 probe range with standard connection head can be supplied with threaded compression fitting, contact, ambient end, food industry models and penetration probes. Measuring range is from -40 to +400°C. A large choice of accessories such as mounting brackets, connectors, cables etc. as well as converters and transmitters are available. Kimo, a French manufacturer with worldwide distribution, is represented in South Africa by ASSTech. Kimo’s range include manometers, vane and hotwire anenometers, air quality solar, lux, sound, humidity, debimo blades, dataloggers and wireless dataloggers, sensors, transmitters, wireless probes and multifunction instruments.